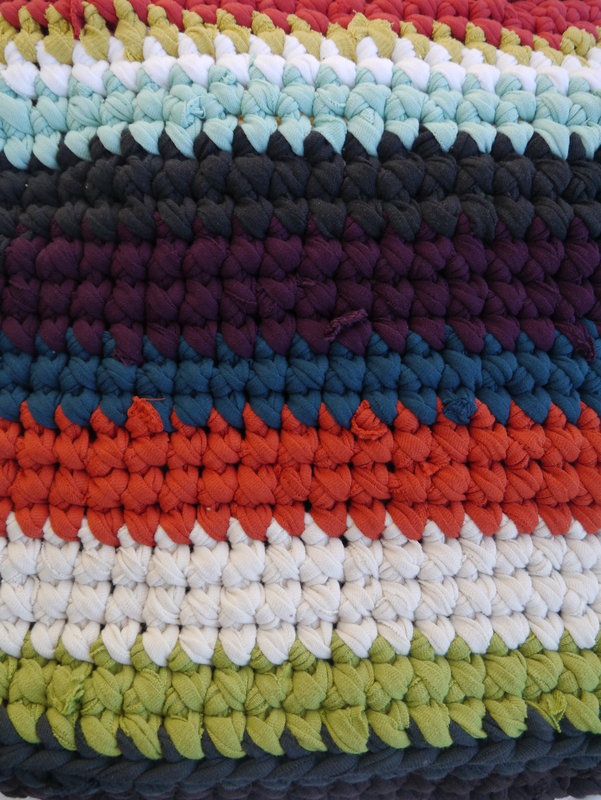 A quick little post to follow up on what I made from all of those t-shirts that got turned into yarn. It took awhile to cut up so many shirts, but having a big basket of t-shirt yarn balls to play with, sure did inspire me. The yarn is so much fun to work up with a big hook. I’d sit down and just grab a color and start working into the previous one. I did not follow a pattern for this…the project was totally free-form, but that’s kind of what made it so much fun. Letting go of structure and rules only to come up with a very structured and sturdy design made me laugh…it’s the Virgo in me that I just can’t escape. I started with an oval base and worked my way up to the top. 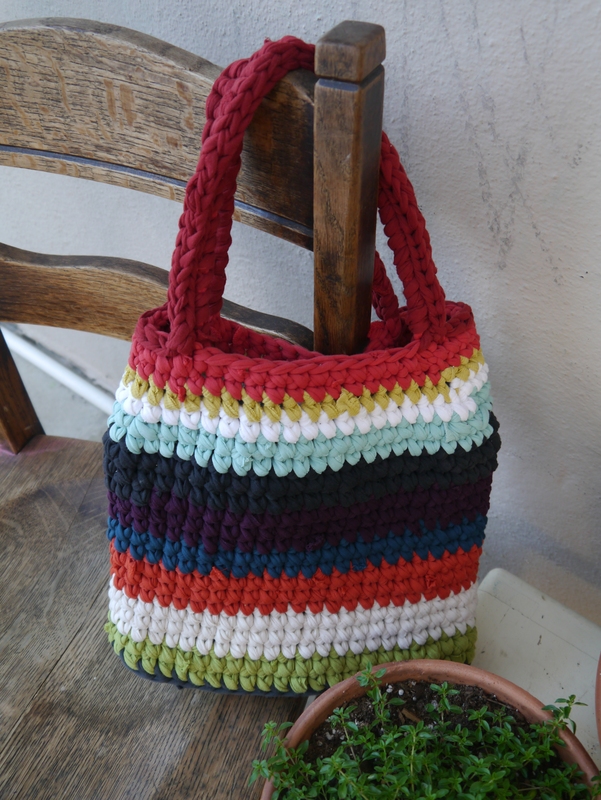 The handles are a continuation of the last row and are reinforced by the final slip stitch all the way around the top of the bag…for those crocheters reading this. I chose to not line this one with fabric, but I may do that in the future. The stitches are so tight that it creates a very thick material on its own. I’m looking forward to making another one of a slightly different shape. I still have just enough yarn left to make a smaller version of this one and then I’ll put them up in the shop. I hope you are all having a delightful summer so far and are enjoying whatever you may be making/reading/cooking/drinking. Cheers. Love the bag. 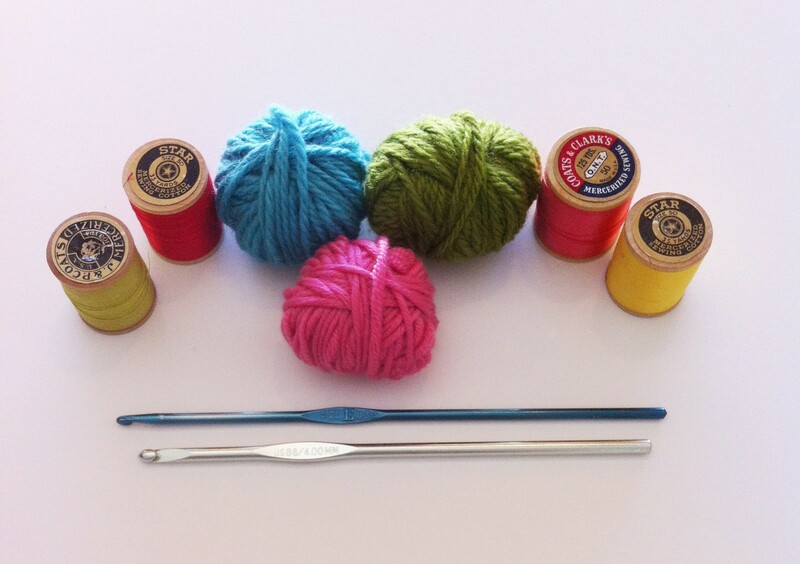 I am getting ready to start making my first balls of tshirt yarn. Will have to try this. Thanks! Have fun making whatever you choose with the t-shirt yarn. I had a big bin of shirts and I spent a few days cutting up t-shirts. 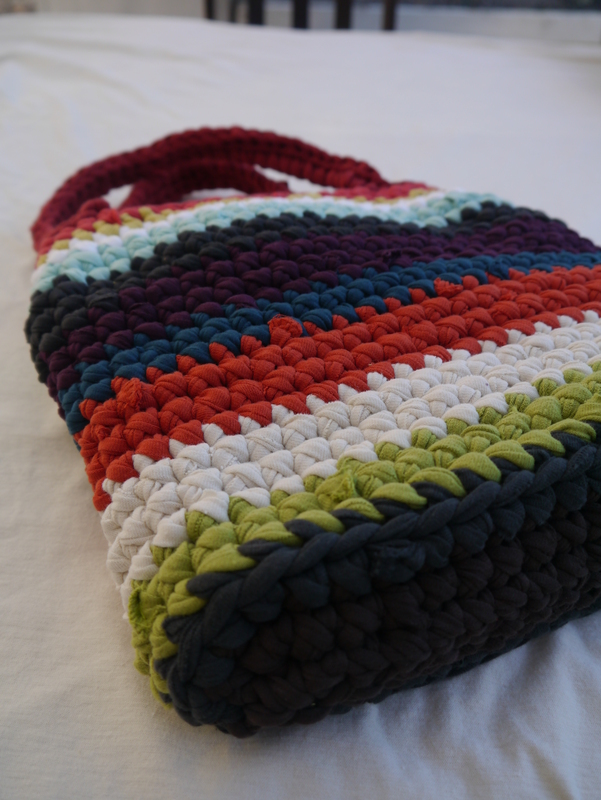 I think that actually took longer than making the bag!